The ISET test is the revolutionary method of detection of cancer before the first signs of its appearance appear, in addition to the current diagnostic tests. ISET, an acronym for Isolation by size of tumor cells, is a noninvasive test, similar to a blood test, and allows science to take a step further in the early detection of tumors years before its development. Specifically, according to scientists, the ISET test can detect the DNA traces of malignant tumors that circulate in the bloodstream up to 4 and 5 years earlier. The ISET is a test also known as liquid biopsies and that, so far, its use had been limited to patients diagnosed of an advanced stage tumor, stage of the disease in which the cancer leaves high traces in the blood, to determine if the treatment to eradicate it is working. 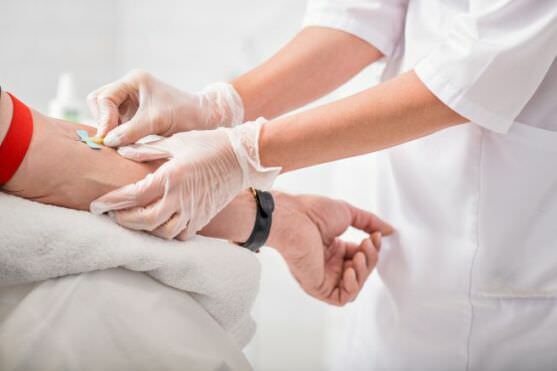 A study published in The Lancet Oncology found that in the case of a type of lymphoma, this blood test can detect the reappearance of the tumor for up to 3 months before it could be seen in the CT scan. ISET is presented as one of the less invasive early detection tests for cancer, unlike current biopsies of tissue or tumor cells, and effective to attack the cancer from before it starts to be disclosed. The prevention and early detection is critical to winning the battle to the dreaded cancer, since when detected in the very early stages minimally invasive surgery will allow to eliminate it and thus, full recovery of the patient. Malignant tumors, when it begins to develop, are less than a millimeter thick, which makes them virtually invisible. In some cases the tumors do not give away its presence until several years, but slowly release cells in the bloodstream. By remaining in the blood, the tumor can not only become stronger and more aggressive, but it increases the risk of invading other organs by multiplying rapidly and giving rise to the dreaded metastasis. A test would revolutionize also to those types of cancer more difficult to diagnose (pancreas, ovaries and brain).